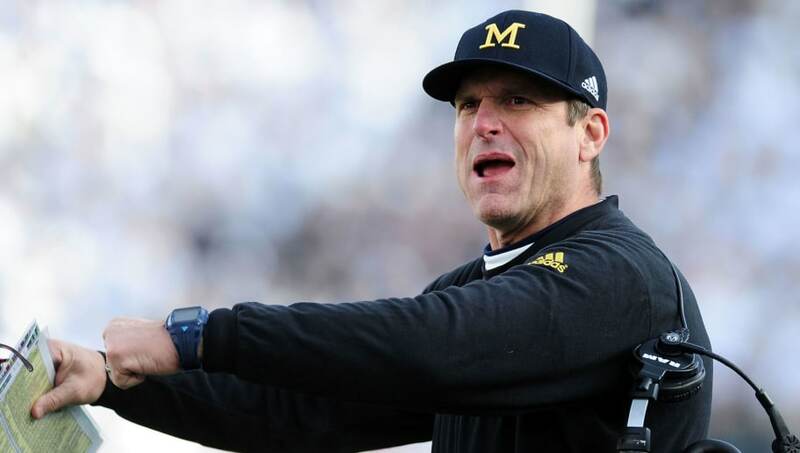 ​Jim Harbaugh and his Michigan Wolverines football program set up one of their satellite camps at Paramus Catholic High School in New Jersey. That didn't go over well with a Rutgers secret society. The "Order of Bulls Blood" sent out a warning letter to Harbaugh and his Wolverines, letting Michigan know that Rutgers is "ready to battle." It didn't take long for Harbaugh to respond in Harbaugh-fashion. History has documented many "secret orders" that have brought our country great shame. ​​While his comments aren't exactly straightforward, it's definitely clear what Harbaugh is trying to say. The society also "vandalized" the field at Paramus Catholic High School in a peculiar way, leaving a teddy bear surrounded by a plethora of Rutgers magnets. Despite the response from the secret society, Michigan is still holding their satellite camp at Paramus Catholic High School, which is the alma mater of Jabrill Peppers, Rashan Gary and possibly a few other future UM football players. As for the Rutgers football program, head coach Chris Ash had his own response. He scheduled his own satellite camp and invited the Ohio State Buckeyes to join in on it. Harbaugh said that he was fine with it. Harbaugh's right. It shouldn't matter where either school is holding their camp. Because when the Rutgers-Michigan matchup takes place on October 8 in New Jersey, the location of either teams' preseason camp will have no effect on the outcome of the game.